Chester Cathedral restored by George Gilbert Scott, 1868-76. Restoration of this church, which dates back to 907, began with Thomas Harrison (1818-20), R. C. Hussey (1843-44), and, after Scott, Arthur Blomfield (1882-87). Photochrom print c. 1890-1900 from the Detroit Publishing Company, 1905. 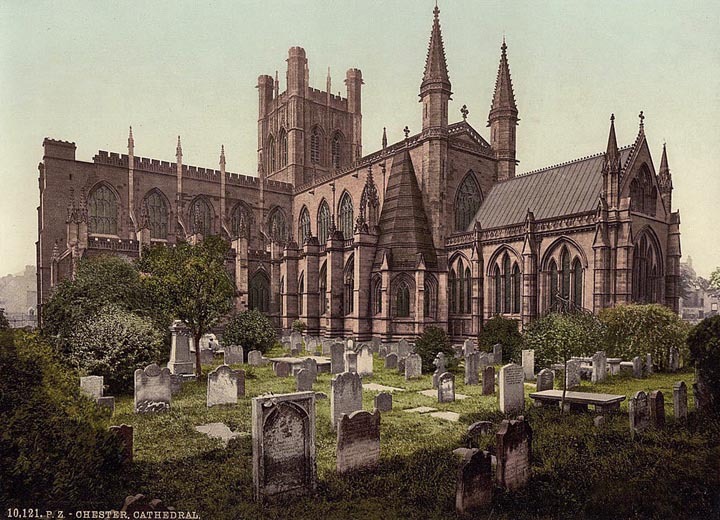 "Chester Cathedral." Wikipedia. Viewed 14 February 2008. Library of Congress site. Library of Congress Prints and Photographs Division Washington, D.C. 20540 USA. Viewed 9 February 2009.